This is a fantastic starter pack for Needle Felting Teachers / Workshops who are supplying their own wool. 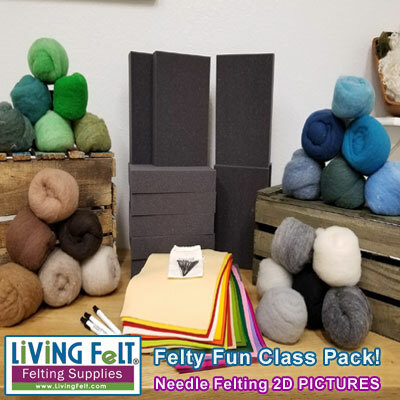 This pack fully supplies up to 10 people with our highest quality, best selling and most popular needle felting supplies. 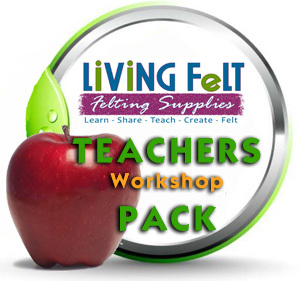 Discount class packs are great for teachers, schools and workshops! See our other Class Packs for great assortments and savings! For larger volumes of needle felting foam and needles, see our WHOLESALE FOAM & NEEDLES section. Thank you for teaching and sharing! !